Some people are waiting on the world to change. They want a better world and yet, they do nothing about it. Bob Salomon and his team are not those type of people. They did the opposite. They took action. In their own humble way, they are trying to be the change they want to see in the sports world. Salomon, a retired NJ State Corrections Officer, has always had a passion for sports and helping children. As the driving force behind the award winning children’s book "A Glove of Their Own," Salomon has long supported uniting professional athletes to advocate the book’s message of paying-it-forward in order to make a positive difference in the lives of our youth. In 2015, Bob took the next step. Alongside Rick Young, a retired special agent, the duo co-wrote their own children's book. "Beyond the Laces" tells the story of a sick boy who is an avid football fan. Due to his illness, he is too weak to play football with his friends. All he looks forward toward to is watching football on Sunday with his family. One day, as the boy is feeling extremely down about his situation, the father writes a letter to his son's favorite player. On a wing and a prayer, "Number 87" answers the letter and extraordinary events occur as a result. 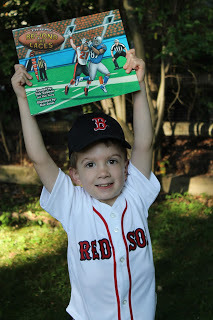 This book truly shows us everything that is good with sports. In today's world, it is hard to find stories like this. Usually, we hear about the athlete who gets arrested for domestic violence or driving under the influence. We are less likely to hear about the athlete who creates a charity or visits sick children in the hospital. In "Beyond the Laces," Bob and Rick succeed in changing this notion. They want us to know that there are still many athletes like "Number 87" out there. They want to inspire kids by harnessing the positive influence of athletes. Often times, pro athletes don't realize how much they can make a difference. They don't realize that many kids do look up to them as role models. As Salomon notes, "The true gift of the athlete, more than his ability on the field, is the impact they have on children." Many former athletes, like Herm Edwards, Mark Brunell, Doug Glanville (pictured), and Don Mattingly, realize the impact they can make and have been huge in the spreading of this message. One great thing about "Beyond the Laces" is its universality and timelessness. Whether you are a sports fan or not, we all can relate to this heartwarming story. We all have dealt with adversity in our lives. We all need to stay positive, even when the going gets tough. We all need the loving support of others. We all have someone we would love to meet. We all have that little kid in us. We all have our own "Number 87" out there. This universality makes it easy for pro athletes, no matter their sport, to get behind the book and its central message. With like-minded people working together, only good things will come of it. Lives will be forever changed. Case in point, let's meet Mark Brislin. Mark is the father of Owen (pictured above). Owen was born with a birth defect called Congenital Diaphragmatic Hernia. In essence, this defect prevents the lungs from properly forming. It is a very serious condition and can be life-threatening. In Owen’s case, it was life-threatening. His parents were not sure if he would survive or not. The odds were stacked against him. If he was to live, surgery was a must. All Mark could do was pray. Pray to God for strength to handle the aftermath of the situation, no matter the outcome. The medical team at NewYork-Presbyterian Morgan Stanley Children's Hospital would do all they could to save Owen's life. Even so, there was no guarantee. Fourteen days after birth, Owen had his surgery. The surgeon attempted to rearrange the organs in his body and close the hole in his diaphragm. By no means was this an easy surgery. Through the grace of God, the surgery was successful. Owen was going to live after all. Playing it safe, the doctors kept him in the Neo-natal Intensive Care Unit (NICU) for a total of 52 days. This was a very trying time for Mark and his family. No parents expect their child to be born with complications. There are a million and one different ways a person could handle this situation. For Mark, he looked toward baseball for guidance. How could a person think about baseball at a time like this? As Mark recounts, he “needed inspiration from something normal in his life, something as normal as a game.” Dustin Pedroia, his favorite baseball player, was at the forefront of this inspiration. We all know Pedroia's story. An underdog his whole life due to his size, Dustin was never supposed to be in the "show." He was never supposed to be the AL Rookie of the Year. He was never supposed to win a Gold Glove or a Silver Slugger. He was never supposed to be an AL MVP. 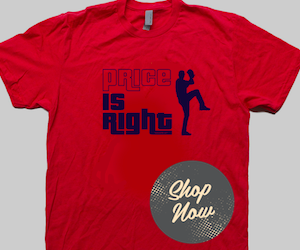 He was never supposed to be a World Series champ. What makes Pedroia great is his work ethic. He runs out every ground ball, gives it 110% all the time, and plays the game with a sense of grit and determination. 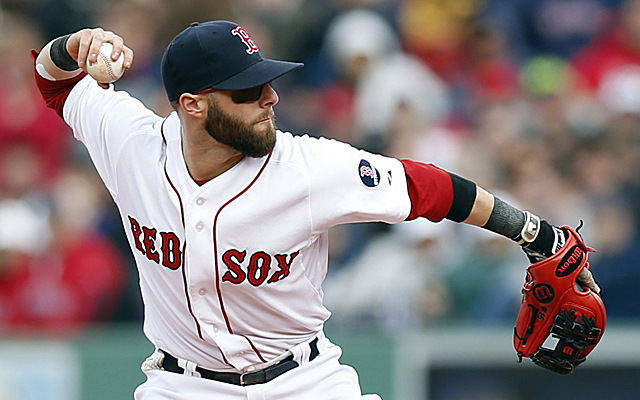 Even though Pedroia is a star now, he still plays like he is trying to prove he belongs. That grit and determination spoke volumes to Mark. 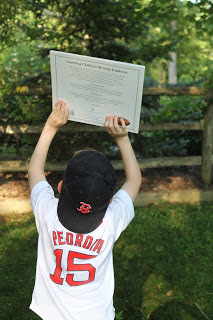 He decided to write Pedroia a letter and explain his situation. Mark told Pedroia how he "needed his son to fight and not give in to the odds stacked against him." 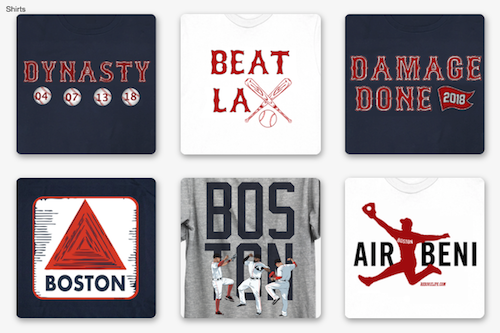 Mark and his son needed to use that grit that Dustin Pedroia displays every night on the diamond. Three and a half years later, that determination and never say die attitude have paid off. Owen, despite having minor issues, is a healthy young boy. Maybe one day Owen and his dad can "have a catch" together. One thing Owen and his parents love to do now is read books. As you can tell, one book has a special place in their heart. 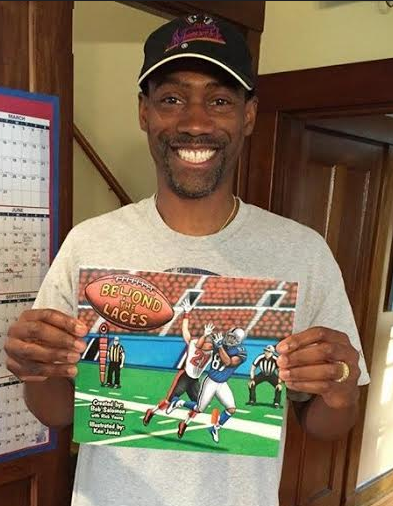 "When I read Beyond the Laces, I had to look to the heavens, because I barely knew the author yet his story was describing my life and the lives of thousands of other parents who face this battle every day," says Mark. "Reading the words in the story took me back to moments in our journey." That's what "Beyond the Laces" is all about. Connecting with others, making an impact in their lives, and inspiring people through acts of kindness. In my opinion, this book is more successful than people know. Success isn't determined by number of books sales and the money made from them (that's why a portion of the proceeds go to the Children's Hospital of Philadelphia). Success is determined by how many lives they have positively impacted. The impact you can have on another person is priceless. It's clear the impact Dustin Pedroia has made on Mark Brislin and his family. Even though Mark "didn’t need a response from Dustin, nor was he upset when he didn't receive one," I would love to get him one. After all his family has been through, I know it would make their day if Dustin Pedroia was to reach out to them. If anyone can help in anyway, it would be greatly appreciated. Please share this article and help spread this message. Someone out there may be in a similar situation and needs a pick-me-up. They need to know they aren't alone. Sharing this article could make an impact in someone's life. After all, that's how the world changes. One random act of kindness at a time. That's how you go beyond the laces. Thoughts on this story? Have your own to share?